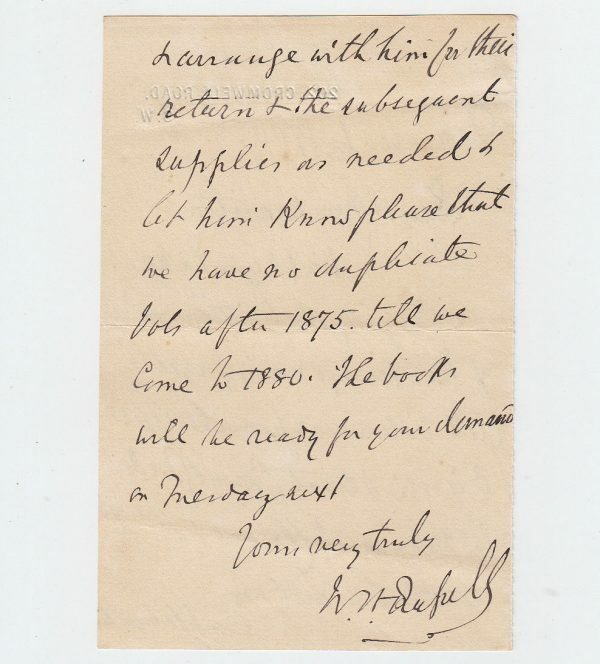 Autograph Letter Signed, to Mr. Marston, asking him to send ten volumes of The Army & Navy Gazette to Mr. Laird Clowes (author of The Royal Navy, in 7 volumes), to arrange for their return “& the subsequent supplies as needed”. 2 pp. 7 x 4 inches, in good condition. 202, Cromwell Road, 1 December 1900. Sir William Howard Russell (1821-1907), the famous special correspondent who reported the sufferings of the soldiers in the Crimean War.